YODOK, the Scandinavian duo of Tomas Järmyr, on drums, and Kristoffer Lo, on amplified tuba and flugabone (sic) was founded in 2008 in Trondheim, Norway (same place the mighty Supersilent appeared) and proposes improvised music within the drone/doom/noise genre. One of their many influences comprises Belgian guitarist and sound sculptor Dirk Serries' project Fear Falls Burning and it's nearly no surprise, if a good one, to see Vidna Obmana's founder join those productive Scandinavians in order to expand their already expansive sound. On this occasion the project was renamed YODOK III. Both Järmyr and Lo are versatile musicians, active in the local Norwegian experimental and improvised scene. 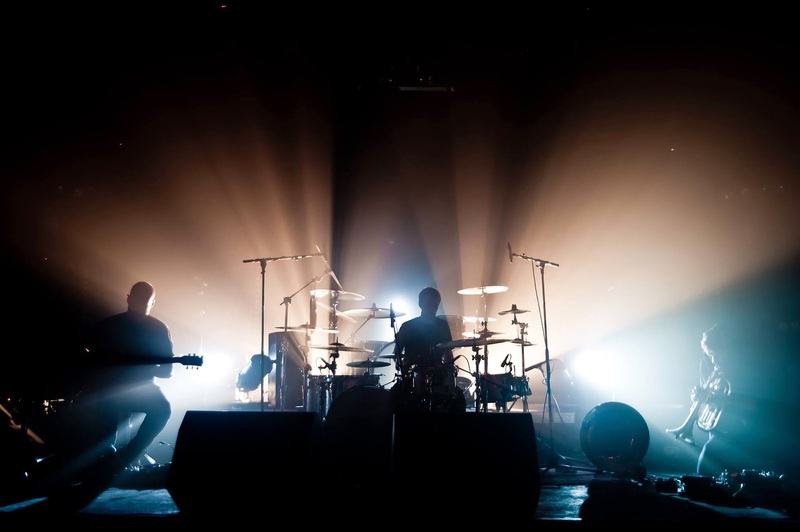 Järmyr and Lo collaborated in the drone trio Sunswitch, with bassist Trond Frønes, and the jazz-pop band Doffs Poi. Lo plays in the art-rock bands PELbO and Highasakite, is a member of the Trondheim Jazz Orchestra and the experimental tuba trio Microtub. Besides, he issued a solo tuba record. Järmyr is at least as versatile (check out his website) and he has already recorded a duo album with Dirk Serries, under the moniker The Void of Expansion, called "Ashes and Blues". 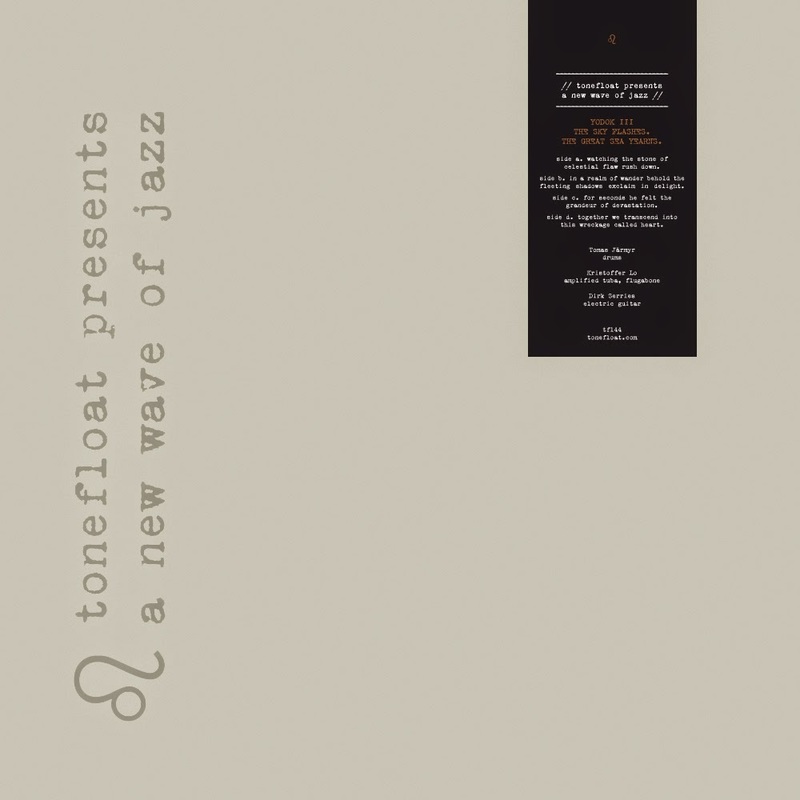 "THE SKY FLASHES, THE GREAT SEA YEARNS" is already the second studio recording issued by YODOK III (they also issued two live ones) and it is once again released on the small Dutch label Tonefloat Records, under their ironically called "a new wave of jazz" imprint. Their first studio effort, simply called "YODOK III", contained two long improvisations, both running around the 23-minute mark, this second opus doubled it with four tracks for a total of around 90 minutes of music. Despite the jazz appellation, YODOK III's music is closer to the long post-rock instrumentals proposed by bands like Godspeed You! Black Emperor or Stars of The Lid, with slow-building and thick-layered/thick-timbered aesthetics, except the music is here entirely improvised, which make them sonically somewhat closer to their near compatriots Supersilent. This long album can be played in the background but I would recommend to push the volume button up as much you possibly can. Stream, buy and share this thing below, spooking hell!